Instagram fan account imagines it so we don't have to. 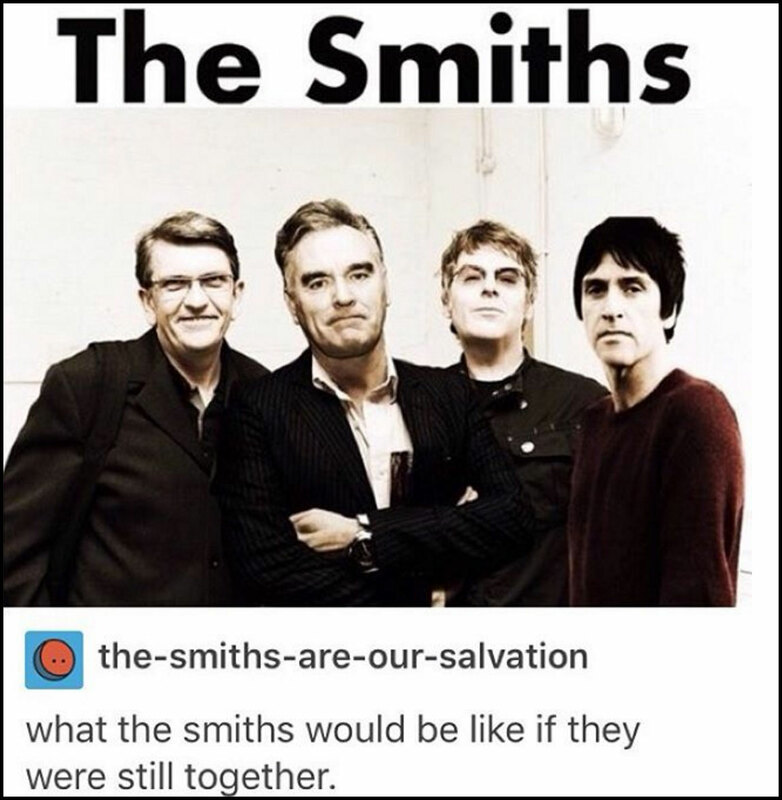 Ever wondered what The Smiths would look like if they were still a band? If your answer is "YES EVERY DAY", then wonder no more. Fan Instagram site, Ian Curtis Is Hungry, has helpfully posted a picture of the Manchester band with Morrissey, Johnny Marr, Mike Joyce and Andy Rourke all grown up. There's still bad blood between Morrissey and drummer Mike Joyce over the infamous Smiths court case of 1996, so it's unlikely they're ever going to reform... We can always look at this picture and live in hope, though. Speaking to Billboard last year, Morrissey seems to think there's not a "single person who wants a Smiths reunion", but considering the band were nominated for the Rock N Roll Hall of Fame this year, he's probably wrong.